On Sale Now! Free Shipping Included! 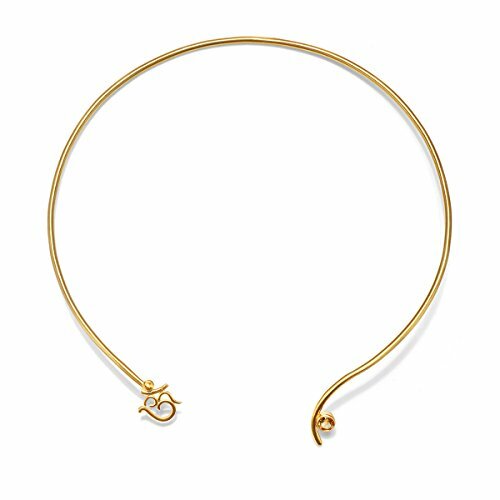 Save 6% on the Satya Jewelry Citrine Gold Plate Om Open Choker Necklace by Satya Jewelry at Femi Store. MPN: NG1-OM-13. Hurry! Limited time offer. Offer valid only while supplies last. Unique front facing choker necklace features Citrine, stone of radiance and happiness. Citrine stands for radiance, happiness, awareness. Om represents the sacred sound of the universe. Wearable length is 13-inches with 5mm round bezel set Citrine stones. 18kt gold-plate over brass. Satya Jewelry Sterling Silver Rose Quartz Lotus Charm Necklace (18-Inch), 18"